Claim your luggage with this handy brass luggage tag. 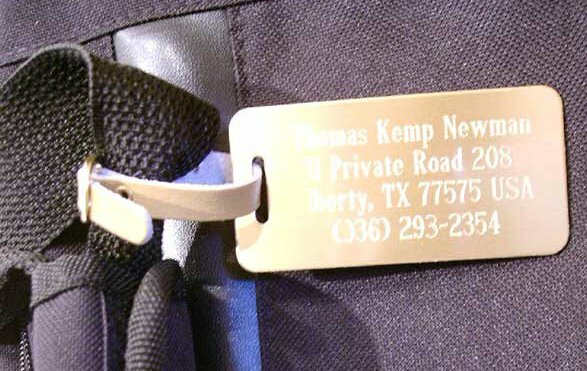 With space for your complete name, address and phone number, his brass luggage tag is available with or without personalization. Best of all, if you don't need engraving, you don't pay for it. Measures approximately 3.5" x 2"